Some parents love the thought of having twins; a constant companion, shared memories of childhood, the reasons vary. Other parents run at the thought. We outline some of the ways to increase your chances of conceiving twins naturally. Your chances of conceiving twins naturally is about 3 %. Obviously being on any kind of fertility treatment will greatly increase your chances. IVF gives you a 20 – 40% higher chance of twins. If you are trying to conceive twins, you may be curious as to some natural methods to increase your odds. 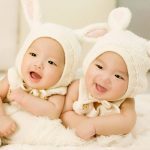 We outline some of the ways to increase your chances of conceiving twins naturally, although there are no guarantees. Fraternal Twins: occurs when multiple eggs are released and 2 separate eggs are fertilised. Identical Twins: are less likely to happen and occur when the egg splits in the early stages of pregnancy. Identical twins do not run in families, so it can be a miracle that happens to a couple of any ethnicity. Heredity – if you have twins in your family or if you are a twin yourself, the possibility of conceiving twins is higher. The genetic predisposition only applies to the mother, her genes influence the chances of hyper-ovulation. Statistically African women are more likely to conceive twins, while Asian women have a lower chance. Identical twins can be a fluke and happen to anyone, while fraternal twins usually run in the maternal genetics. Hyperovulation is said to be genetic and causes the release of multiple eggs. Age – older women have a higher chance of conceiving twins as they approach peri-menopause. The body receives a fertility spike by the surge of oestrogen. After the age of 35, your body produces more FSH (follicle stimulating hormones). As a result, during ovulation your body releases more than one egg and increases your chances of having twins. Taller women and women with a higher BMI also have an increased chance. Having a BMI over 30 is thought to increase your chances, but this puts you in the obese category and is not a healthy option. Folate: (or the natural form – Folinic acid) has been found in studies to have a 40% increase in twin pregnancies, although this appears to be aimed at women who have had IVF treatments. Increasing folic acid (400 – 1000 micrograms) is a natural way to get pregnant with twins. Folic Acid also helps to come overcome any neural tube defects during pregnancy and helps with the healthy growth of your baby. Foods that help you elevate your Vitamin B9 include lettuce, spinach, strawberries, tomatoes, egg yolk, sunflower seeds, asparagus, broccoli, honeydew melon and liver. Hyperovulation-stimulating foods: There are a few foods that naturally increase the rate of ovulation and stimulates the ovaries to release multiple eggs. One example is Cassava, an African wild yam or sweet potato. Other examples include tofu, soy isoflavones, whole wheat and whole grains. The same applies for feeding your partner Oysters for the high zinc content which helps with sperm production. Zinc is said to help with sperm mobility and health, doctors advise 14mg/day. Gaining extra body weight: most doctors recommend an intake of dairy or calorie-rich food. In a study done by Dr Gary Steinman, women who eat more dairy are 5 times more likely to conceive twins. Other studies did show that vegans are less likely to conceive twins. So perhaps the best chance is to increase your intake of dairy and meat. Dairy: Consuming dairy-based products increases your chances of multiple birth pregnancies. Drink milk from hormone treated cows. Cows liver also contains Insulin-like Growth Factor (IGF) thought to trigger multiple pregnancies. Gap before Conception: Don’t rush to fall pregnant shortly after giving birth. 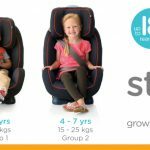 Experts advise leaving a gap in the conception. Use a Birth Control Pill: As you stop taking the birth control pill, your hormones will fluctuate and take some time to find its natural rhythm. The hormone flux increases your chances of releasing multiple eggs leading to the conception of twins. Have more children: Having more children increases your chance of having twins naturally. It becomes easier for your body to produce multiple eggs during ovulation the more times that you are pregnant. Continue Breastfeeding: Your body produces a higher percentage of prolactin during breastfeeding. This increases your chances of having twins. Bear in mind that there is no guarantee that you will conceive twins, the above just outlines ways to increase your chances. With multiple pregnancies there are higher risks, so be sure to consult your doctor for advice.